Crime scenes such as death, suicides, accidents or traumatic injuries in your home or business are events that few people are prepared to deal with. At Archer Restoration & Cleaning Services, we are prepared to deal with such events. Our experienced crime scene and biohazard cleanup services are available 24 hours a day, 7 days a week to help you with unexpected emergencies. 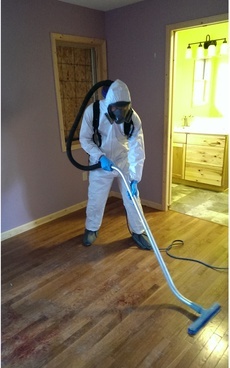 Archer Restoration will work promptly and discreetly to clean, sanitize, and deodorize the affected crime scene area. We will remove any and all remaining signs of trauma, and restore the area as quickly as possible to its original state. Archer is here for you through your difficult time.